Heart-warming and colourful, Freckle Productions’ delightful adaptation of Julia Donaldson and Axel Scheffler’s Tabby McTat is coming to Tyne Theatre & Opera House this October. 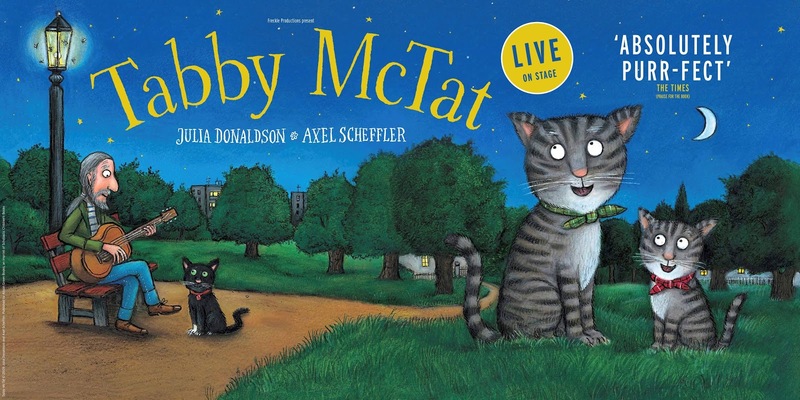 Tabby McTat © 2009 Julia Donaldson and Axel Scheffler. Tabby McTat is the latest production to be added to Tyne Theatre & Opera House’s fantastic programme of children’s shows for 2019, and will be the second Julia Donaldson stage adaptation of the year, following the magical Zog, which is at the theatre this May. 2019 sees Tyne Theatre & Opera House welcome Ben & Holly’s Little Kingdom Live back to their stage in June after sell-out performances in 2017, and In the Night Garden Live will delight audiences in July. Tyne Theatre is also thrilled to have the Elmer the Patchwork Elephant Show in their programme for August, coinciding with Elmer’s Great North Parade, presented by St Oswald’s Children’s Hospice. The show will run for approximately one hour and all ages are welcome. General on sale Wednesday 27th March from 10am. Tickets will be available from www.tynetheatreandoperahouse.uk.